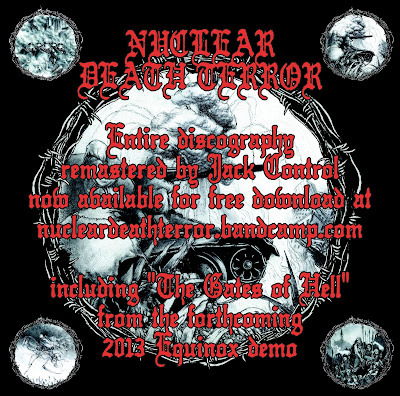 We now have our entire discography including the forthcoming 2013 Equinox demo available for free download at http://nucleardeathterror.bandcamp.com. This is of far superior quality to the downloads previously available and includes artwork & notes never seen before outside of the physical releases. Please SHARE with all & any interested parties. Excelente post amigo, muchas gracias por compartirlo, da gusto visitar tu Blog. Wow nice effort this is awesome. Thanks Admin.